Advisor to CaixaBank on the sale of 1,458 dwellings from BuildingCenter, its real estate subsidiary, to Testa Residencial for an approximate consideration of €227 MM. The portfolio is made up of 42 buildings mainly located in Madrid, Palma de Mallorca, Barcelona and Valencia. 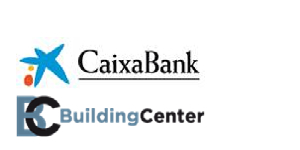 The agreement will allow CaixaBank to accelerate foreclosed assets divestment plan and Testa Residencial to expand its portfolio to over 10.700 dwellings.